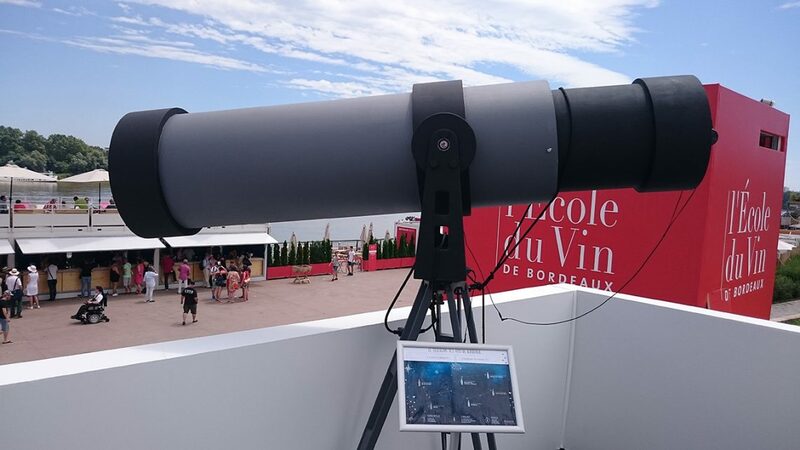 Conception and development of a digital installation for the wines school of Bordeaux.. 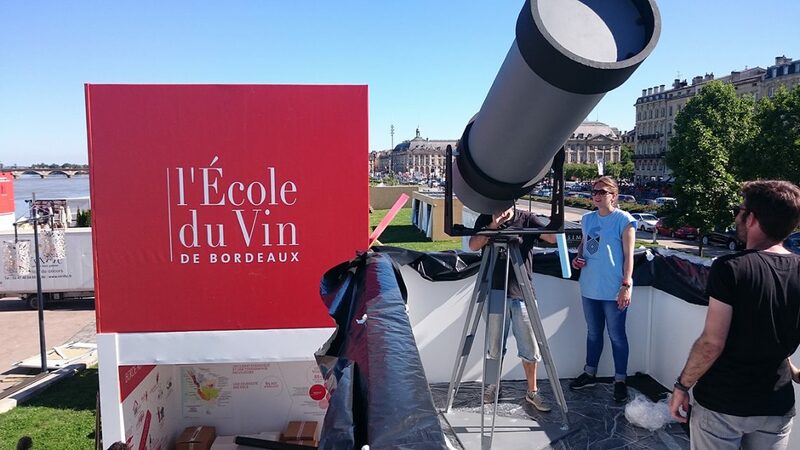 This digital installation has been developed on Unity and was introducing, in a playful way, the different wine estates around Bordeaux during the “Fête du Vin” 2016. Each wine estate was represented as a star, part of a bigger constellation shaped like a wine glass. 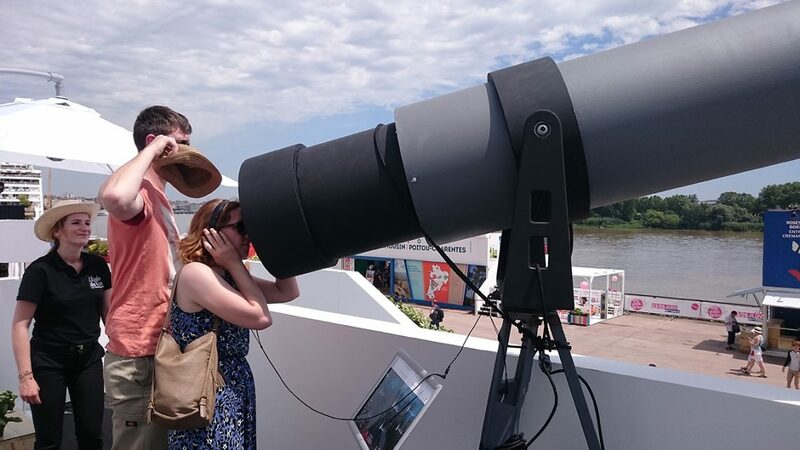 The user could navigate through the giant telescope detecting the device orientation with accelerometers.